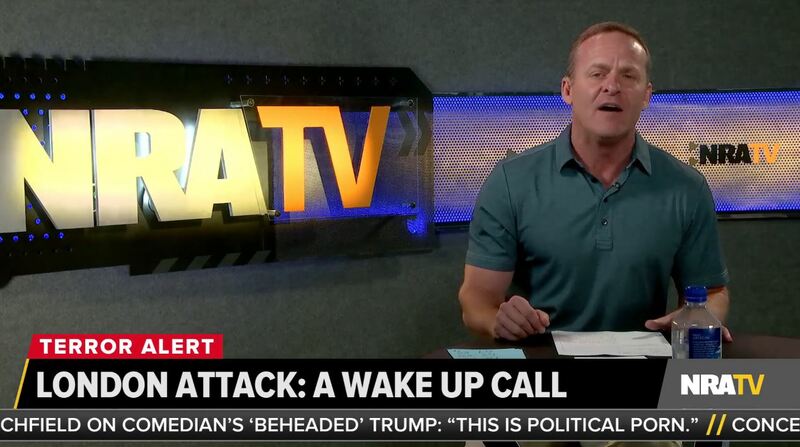 The National Rifle Association’s live news show Stinchfield issued a “terror alert” following terrorist van attacks in Spain, in which ISIS supporters drove vans into crowds at two locations, killing 14 and injuring more than 100 people. But the show has yet to mention the events of August 12 in Charlottesville, VA, where a neo-Nazi plowed his car into a crowd of anti-racist protesters, killing activist Heather Heyer and wounding 19 others. Since the terror in Charlottesville, Stinchfield -- which consists of five daily updates at the top of the hour on weekdays starting at 9 a.m. EST -- has run 21 segments totalling approximately 210 minutes of airtime without mentioning the attack in Virginia. 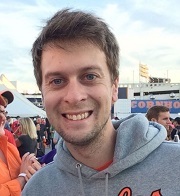 During its 9 a.m. update on August 18, Stinchfield used the tragedy in Spain to push right-wing talking points. During the broadcast, a “terror alert” appeared on the screen, which the NRA show has displayed after other attacks. 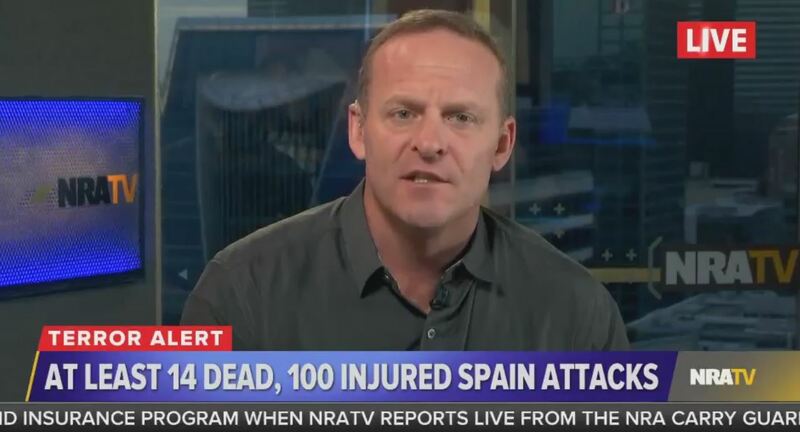 During the segment, Holton criticized Spain’s gun laws (falsely claiming that “people are not allowed to have guns here”) and Stinchfield called on “patriotic Muslims” to “infiltrate” terror cells in the United States and in Europe. Beyond the double standard about what types of terror warrant mention on Stinchfield, the lack of coverage of Charlottesville stands out more within the context of the NRA being widely criticized earlier this year for releasing an ad that critics said encouraged violence against left-wing protesters. Both of these tragedies call for widespread media coverage, but Stinchfield is making a very conspicuous choice to only commentate on one.